Follow the directions below to view your class grid in Student Center. Locate the "Academics" section near the top of Student Center. You should see your current schedule listed there. 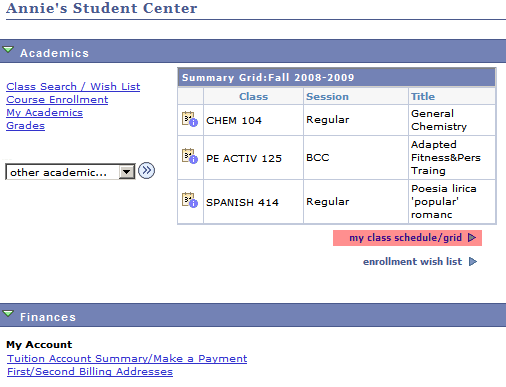 If not, click on my class schedule/grid under the Summary Grid. To view your schedule in grid form, select GRID in the Select Display Option radio button.